A consistently pleasurable smoke for all cigar lovers, the Ashton Classic cigar has a medium body with nuances of peppery spice. 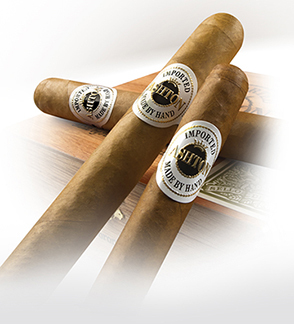 The blend of 3- to 4-year-old Dominican tobacco, along with its rich golden Connecticut shade wrapper creates an extremely well blended rich taste. The draw of this cigar from beginning to end is never disappointing. The Ashton Classic is truly a smoke for anytime and anywhere and, like an old friend, never lets you down.